I’m not a die-hard fan of the classic Eight Hour Cream, if I’m really honest I think it’s definitely an over hyped product. This on the other hand I think is pretty fantastic – really moisturising and containing high SPF it’s made it’s way into my handbag for daily application. But I haven’t been using it on my face – I’ve fallen for it as a hand cream. Which, yes – does feel very decadent but at the same time hands are one of the parts of the body that are almost forgotten when it comes to anti-ageing care, yet are also one of the massive give-aways. I’ve had a few issues with the skin on my hands since I was a kid – my hands used to be so dry that the skin often cracked along the knuckles and was actually quite painful. So I have no problem with investing in anything that prevents this from coming back to haunt me. The texture is a light cream rather than the thicker original version that is more of a waxy gel type of thing. Having said that, I did start using this on my face and it was fairly pleasant to use (other than one thing that I will get onto in a moment). It was just out of desperation when my hands felt dry and this was the nearest thing that I tried it on my hands and loved it – absorbs straight in and leaves hands soft and smooth but not greasy or feeling like there is any residue. My one issue with this product is the smell. It smells very ‘herby’, not really my thing – much like with the Liz Earle products – but if you are a fan of this sort of smell then fabulous. It’s just not for me, one of the reasons that I prefer using this on my hands rather than face. 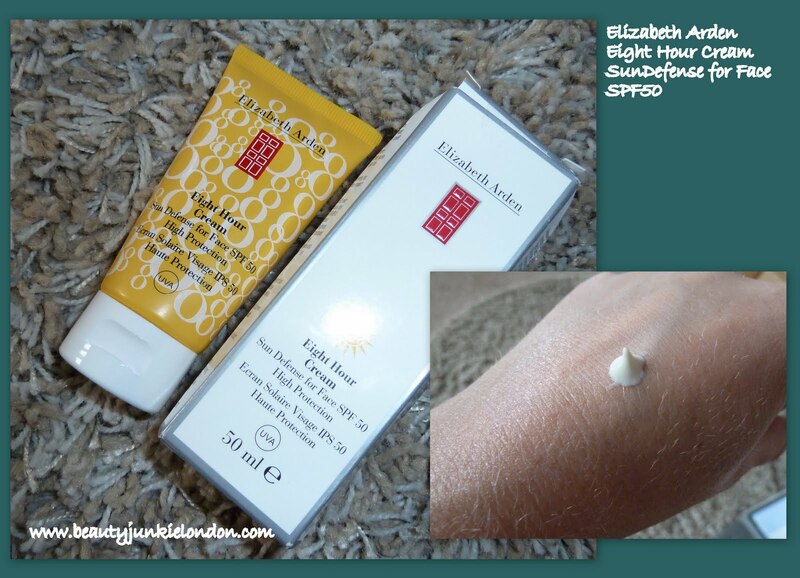 Elizabeth Arden Eight Hour Cream SPF 50 costs £22 for 50ml (from Boots.com) which isn’t cheap (especially for something I have been using for my hands) but isn’t extortionate either. If you want a face cream with a higher SPF than the usual 15-25 range then this is a good option – finding face cream with SPF higher than 30 that is still light and comfortable to wear isn’t the easiest task. I’ve been meaning to try this for ages. Not sure about using it on my hands – I just use whatever random moisturiser I have.